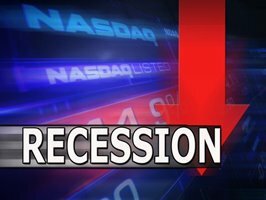 A recession is the state of an economic decline, characterized by a widespread decline in the Gross Domestic Product and employment and trade lasting from six months to a year. A sustained recession may become a depression. Increase your visibility by participating in meetings, offering creative, new ideas and taking part in company outings and get-togethers. Make sure that people (preferably higher-ups) within your organization know of your existence. Maintain a positive outlook any time you are at work and especially in the company of your boss etc. Increase your marketability. Think of ways to supplement your current degree. If you don’t have a degree it goes without saying that you should take immediate steps to get a degree or at least certification of some sort. Make sure your boss is aware of your intent to continue/enhance your education. The benefit of enhancing your education and skill set is two fold. First it can make you indispensible at your current job; perhaps you’ll be able to take on more responsibility and be tasked with working on other projects that require additional skills. Second, if you lose your job it will be easier for you to get a new one. Focus on maintaining a strong relationship with your boss (and, ideally, your boss’s boss) and make sure he/she knows about all your contributions to the company and the valuable work that you do. In other words your employment at your company should undeniably be benefiting both you and the company you work for. Be Flexible and Proactive, Employees who keep a good attitude and volunteer for unpleasant tasks will always have a better chance of keeping their jobs than those who complain and shirk their responsibilities. However, attitude alone has seldom provided real job protection. The willingness to take business trips and transfer to another location may keep your employment on surer footing, and a willingness to work overtime performing tasks that no one else wants to do can elevate your status among your superiors. Don't underestimate the impact of your willingness to go the extra mile when layoff notices are being decided upon. Don’t be a high maintenance employee or a general pain in the neck. Make yourself easy to work with. Don’t complain about everything from the temperature in your office to your coworkers. Maintain your professionalism at all times and refrain from taking one too many sick days, arriving late to work, or taking excessive vacations. Be as efficient as possible and very helpful to your boss and your coworkers. Don’t demand an increase in pay when clearly your company is not able to afford it. If the organization you work for is struggling not to start laying people off, you don’t want to be trying to negotiate a higher salary. Such behavior will put you at the top of the lay-off or perhaps even to be fired list. Stay busy. If you have a lot of down-time during the day, ask your boss for additional work. Not only will that increase your visibility and value to the company but your boss will know exactly what it is that you do on a day to day basis. Follow these tips and you will likely keep your job and be able to ride out the recession.